The Regina Pat Canadians played the Swift Current Legionnaires on Wednesday evening. They got a late start in the game due to no on ice officials. Game was delayed and the Pat Canadians were poor hosts as they defeated the Legionnaires by a score of 3 – 2. Goal scorers for the Pat Canadians were Tyler Lees, Randen Schmidt and Peyton Gorski. Nathan Moore and Dean McNabb combined to stop 19 of 21 shots directed there way and earned the victory. Cody Levesque stopped 31 of 34 shots directed his way. Scoring for the Swift Current Legionnaires were Rin Beny and Ethan Regnier. 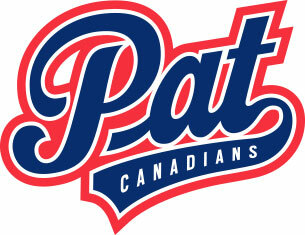 The next home game for the Regina Pat Canadians is Thursday, October 27 8:00 pm against the Yorkton RawTech Maulers.